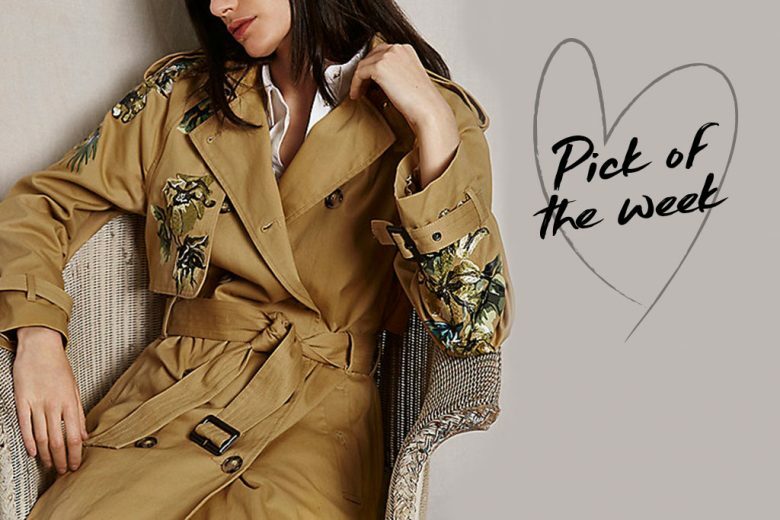 River Island’s ‘RI Studio’ was first launched in 2015, as a premium, capsule collection of investment pieces and this season it continues with some strong pieces including this cotton embroidered trench coat. This deeper tan shade is flattering , more like tobacco, and so won’t wash out paler skins. And the floral embroidery isn’t OTT, with just enough to give this trench a SS17 boost. Now we’re heading towards spring and you start to shrug off the winter layers and heavier coats, this trench is the perfect outerwear option to wear with a work look or for off duty. I expect a lot of editorial for this item so if you love it don’t leave it!